Thanksgiving Sides Your Guests Will Love! 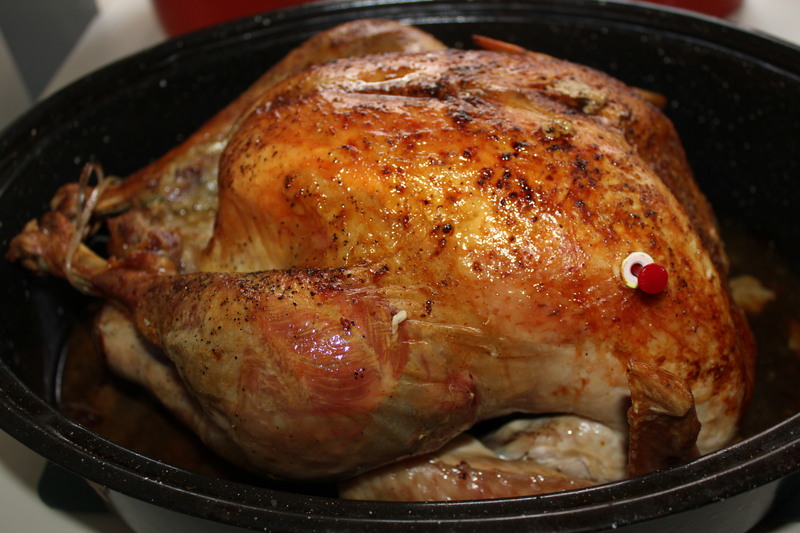 I love Thanksgiving – family, friends, food comas and football! I already have selected my best sweat pants to wear that day – the ones that have lots of room in the waist, if you know what I mean! Bring it! If you’re having a big meal and can’t decide on what to serve with your Thanksgiving turkey or ham, here are some links to some tasty side dishes you may want to consider – your guests will love you! Okay, the first order of business is to make a pitcher of spicy Bloody Marys as you watch Macy’s Thanksgiving Parade and begin cooking. It’s a tradition (at least in my home), and a great one, I might add! 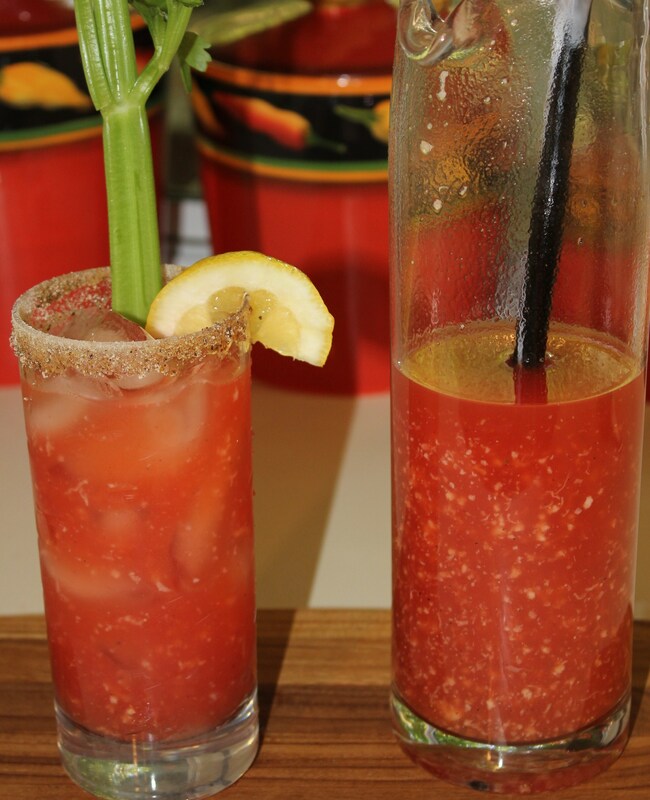 Try Kel’s Bloody Marys with Fresh Horseradish – yum-o! What Thanksgiving meal would not be complete without a green been casserole? Well, my “Not Your Grandma’s Green Bean Casserole” takes the standard, canned green bean, mushroom soup and onion ring casserole and transforms it into something so much better. And it has BACON. Enough said! If you can’t find any fresh corn on the cob, thaw some frozen ears for Kel’s Creamed Corn With a Crunch. You may need to add a little extra sugar to the recipe, but trust me, it is far superior than to whatever that stuff is in the can. I think every family debates whole-jelly cranberry sauce in a can versus the canned whole-berried version. 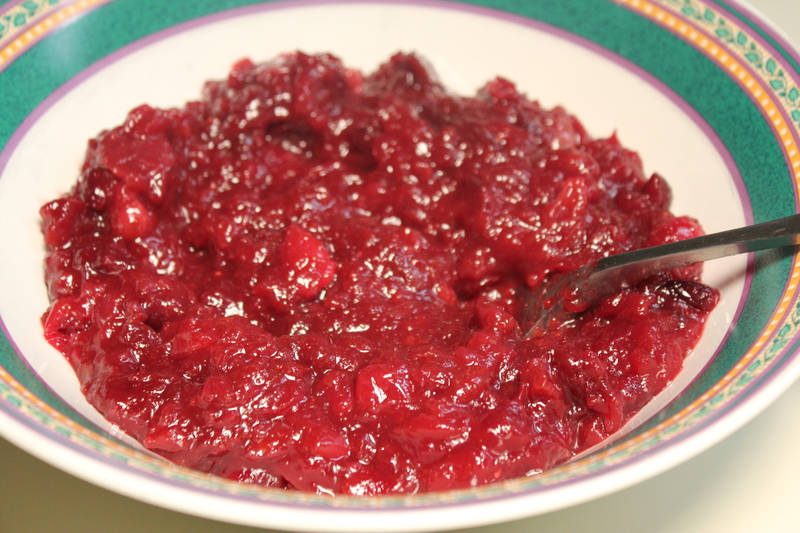 I say ditch the cans altogether, grab a bag of fresh cranberries and make Kel’s Café homemade cranberry sauce . So easy, and so much better, with no added preservatives. I mean, how do they get that canned jelly to be that way in the first place? Ick. Make it fresh, and make it fast! Are you making sweet potato casserole that contains a pound or so of sugar, topped with sticky little marshmallows? 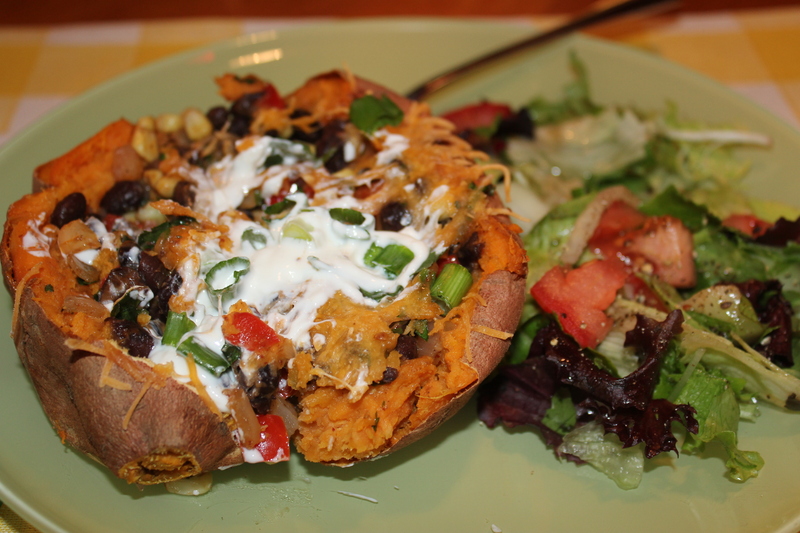 Consider slimming it down with Kel’s Black Bean and Corn Stuffed Sweet Potatoes – quite hearty and perfect if you have any vegetarians in your crowd! While so many of us are blessed in so many ways, there are so many who aren’t, for reasons beyond their control. Consider reaching out to those who may not have it so good by volunteering at local charities, donating to local food banks, performing random acts of kindness or just listening to someone who may be going through hard times. Little things go a long way to help those who are less fortunate, now and year-round. You can make a difference! Happy Thanksgiving, Y’all! Don’t’ forget to kiss the cook! This entry was posted in My Favs, Recipes and tagged eat drink and be merry, Kel's Bloody Marys with fresh horseradish, Kel's cremed corn recipe, Kel's homemade cranberry sauce, Kel's stuffed sweet potatoes, Kelley Chisholm recipes, Thanksgiving green bean casserole, Thanksgiving side dishes. Bookmark the permalink. 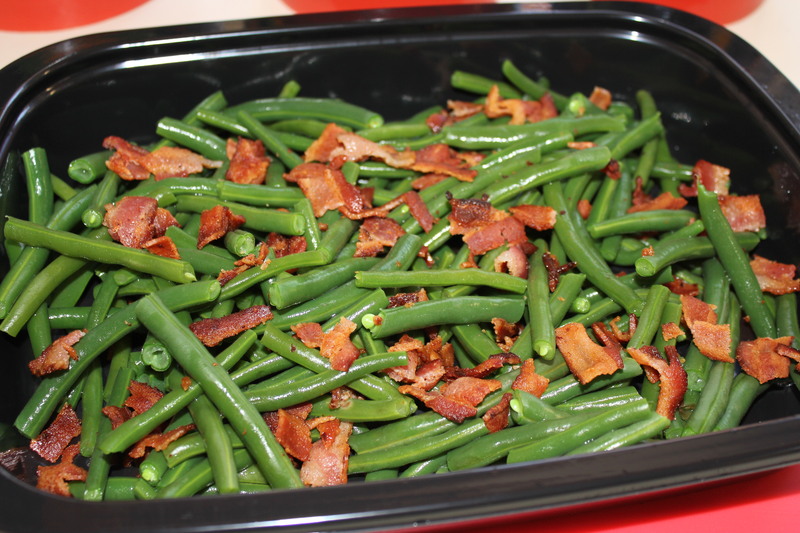 1 Response to Thanksgiving Sides Your Guests Will Love! 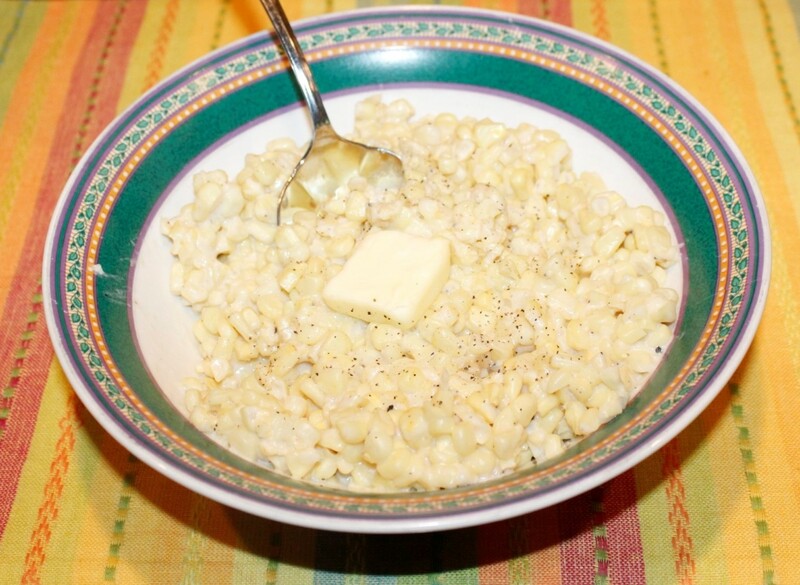 Your creamed corn has become a standard recipe around here! Love it! The others look great too.